Good morning everyone. 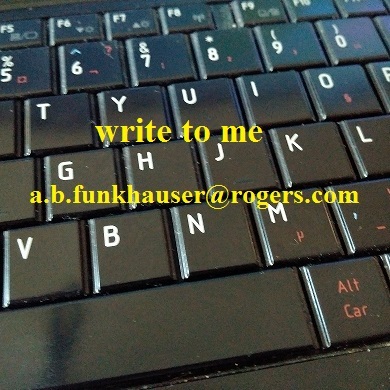 Lately, it’s been suggested to me that I get a newsletter up and running because 1) it’s a great way to connect with people who might want to pick up what I write, and 2) it forces me to use first person, a device I fervently stay away from in fiction because the “I’s” make me feel self-conscious. I thought on it, and while the newsletter works very well for writer colleagues of mine, I can’t see myself doing it because I have Das Blog on WordPress–this wonderful space where I celebrate the publishing journey: yours, mine, everybody’s. But here’s what I can do. I can spout off daily (or bi-daily or other daily) missives of 500 words plus or minus as the spirit moves me. Content shall be mine. Welcome, then, to The Daily Yammer, a sub-sid of Das Blog where thoughts are short, commas are few(er), and everything said will be said so with “I”. First person: this will take getting used to. You will be answered. — A.B.